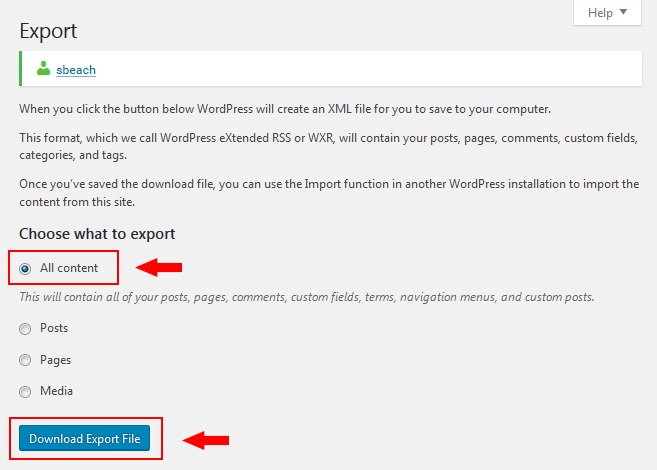 This article will show how to import your content your WordPress.com account. 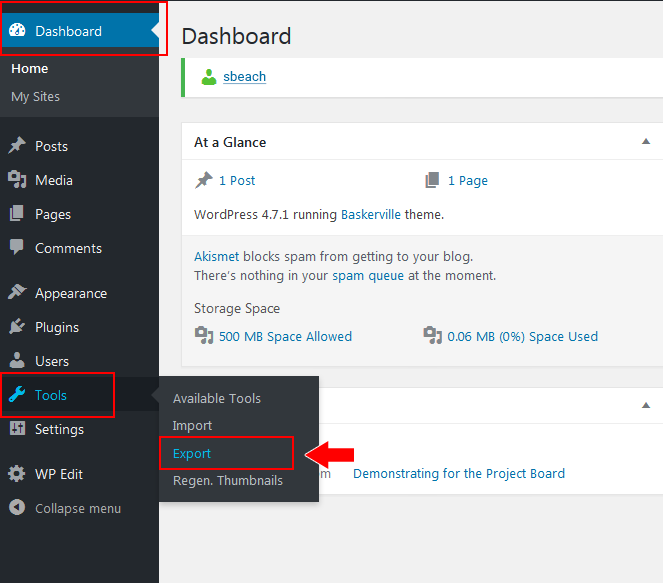 If paying for a hosting company, once you have WordPress and the Importer installed the steps should be similar. Please contact the host company for any other questions. 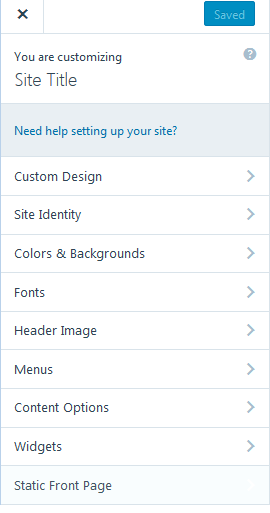 To open a WordPress.com account, click their Get Started link and select the theme that you are using or one close to it. 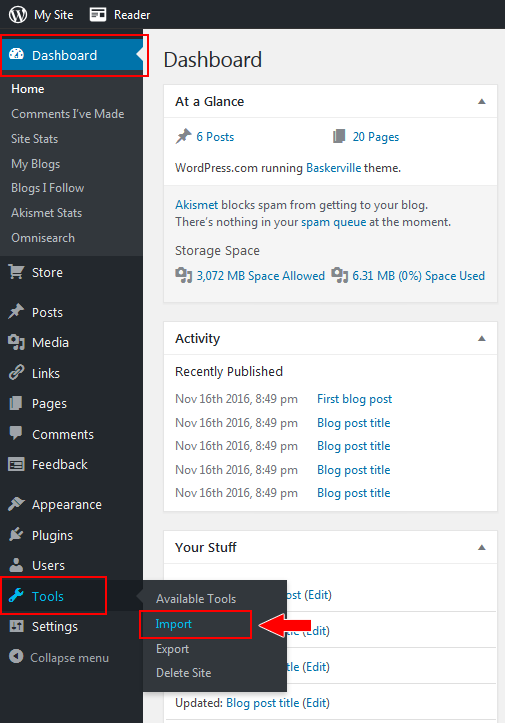 Not all themes on WebSpace are available on WordPress.com. If you are using one of the premium Elegant Theme themes, choose a theme that closely matches what you are using on your WebSpace. If you wish to continue using a Elegant Themes theme or the Divi Builder plugin, a license will need to be purchased from them, and an external a web hosting account set up with WordPress installed on it. 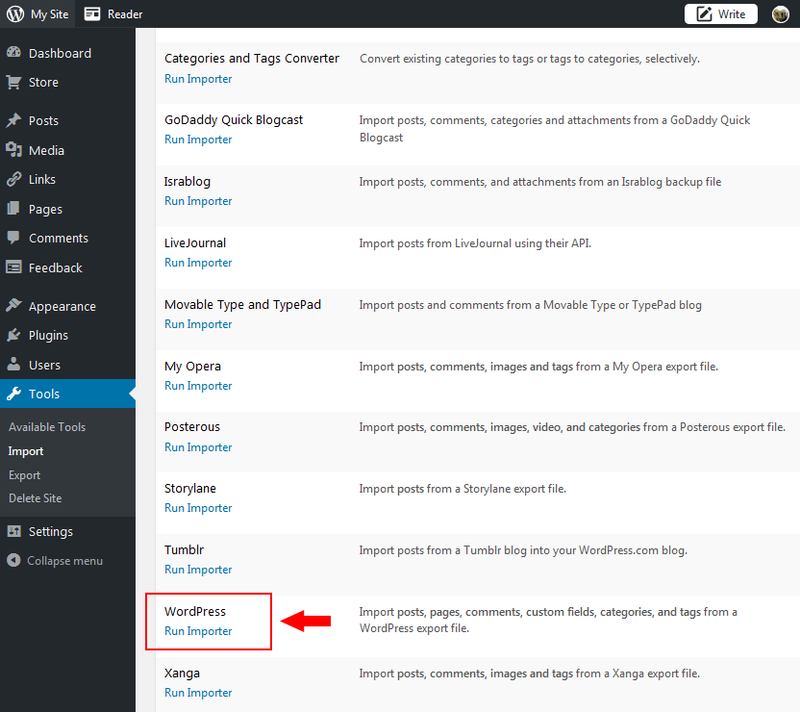 Go to your Dashboard on your WebSpace and select the Export item from the Tools section. Leave All content selected and click the Download Export File button. An XML file will be created. Download it to your computer and go to your WordPress.com site. 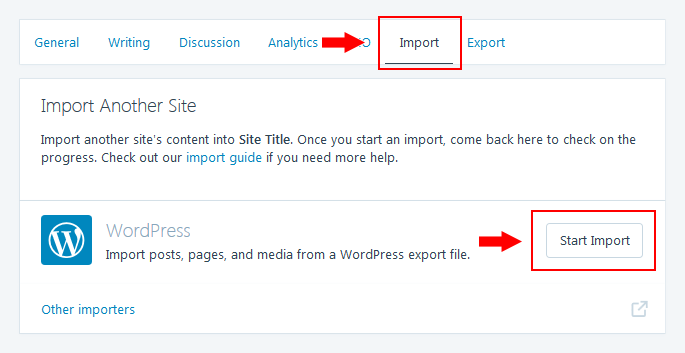 There are two ways you can to import your content on WordPress.com. Follow the steps and click Done. Click on Pages and Posts to see your imported content. 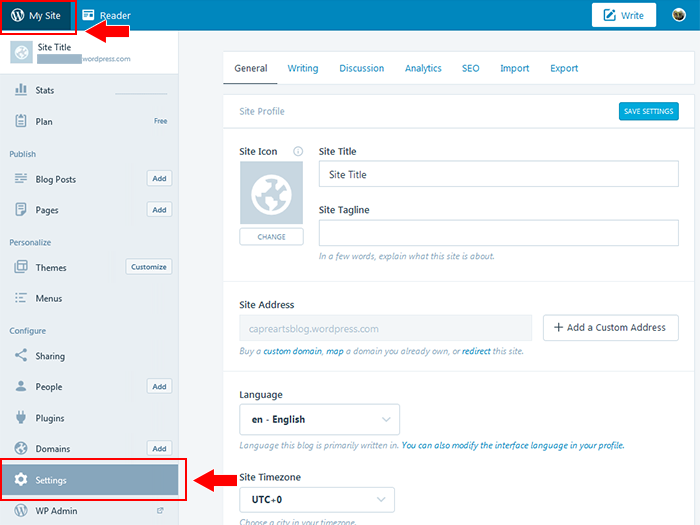 Once you've imported your content using one of the above methods, go through and re-setup some of the site elements. To easily compare and sync up the settings, open your WebSpace Customizer open in another Window or Browser. 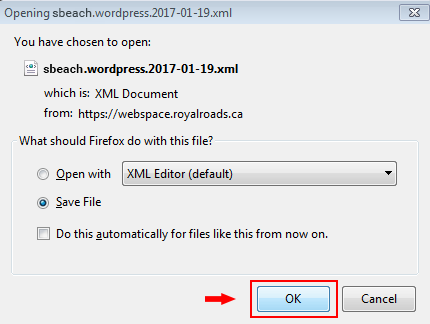 Since WordPress.com does not offer this plugin any images or text will need to be re-selected and fixed.